At first I thought this would be a book that has been done hundreds of times over but it exceeded my expectations by a far. Jessica(who was telling the story) had a really comedic side and the jokes were never forced. She has this natural sarcasm to her and it just flowed along with story. Jessica had a truly funny and unique personality which added to the book. I found myself laughing throughout, it was a really great read! Another thing I have to comment on is the front cover and illustrations all the way through the book. The front cover(as you can see) is bright, colorful and the comedic cartoons really bring something to this story. They are on almost every page and it really helps you picture what Jessica is drawing or thinking about. It may have been predictable but the twists in the story line were unexpected and the comedic side of things is what makes this book one of my favourites! I thought this book would be great for everyone because the jokes are decent but still make this book a must read when you want a laugh! 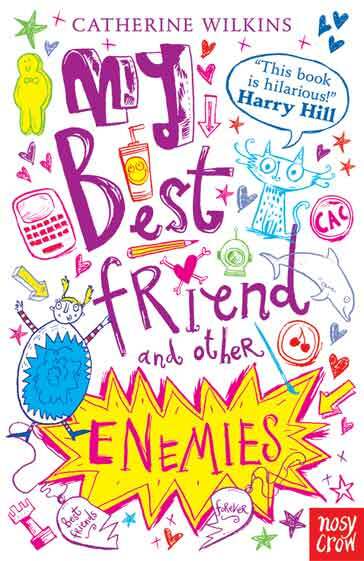 Roll on the release of Book 2 My Brilliant Life and Other Disasters out 5th September 2013! 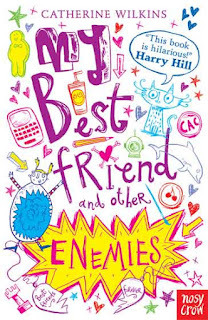 I'm very excited to say that author of My Best Friend & Other Enemies, Catherine Wilkins has agreed to do an interview for this blog! It will be up soon!